Health Fair Connections | Am I going to be the exclusive or ONLY vendor of my kind in the health fair? 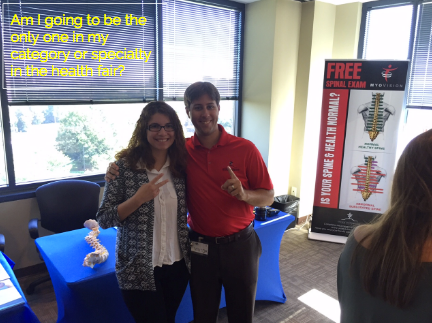 As you might already know, Health Fair Connections (HFC) is a tech platform and not a third party health fair company. This means the host (aka HR and benefits team) at the organization/company has full control over the vendors they select to attend their health fair. So, we can't guarantee that another vendor with similar services is not selected. We let the host know it's not wise to pick multiple vendors that provide the same services (depending on the size of the health fair). And if they do, to not put those vendors next to each other. at the health fair. In all honesty, it rarely ever happens. If you do happen to end up in an unideal situation, please be respectful and classy. Do not cause drama and engage in, my-dad-can-beat-up-your-dad behavior. No particular vendor is number one. We're all in this together to help employees become healthier. So, to provide transparency, we show you the list of interested vendors and the list of vendors who were selected and confirmed. This information is on the health fair event page. We hope this post helps provide some clarity.